Your comments, thoughts, and feedback are important to us, as they can help us serve you better. We assure you that every message will be addressed and we will follow up with you in whatever manner is appropriate. We appreciate your understanding as we sometimes are not able to respond directly to every comment. 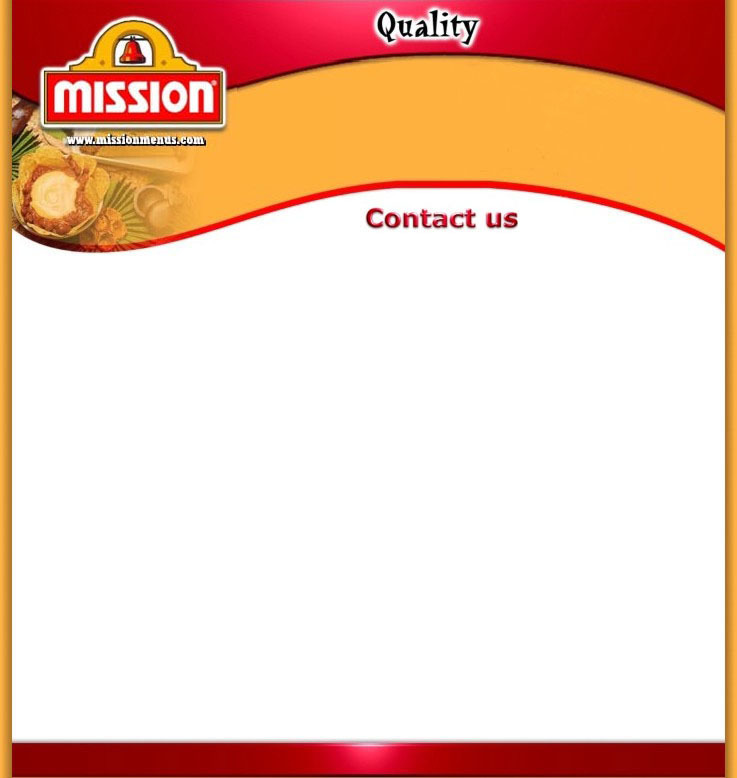 You can communicate your comments, questions or suggestions to Mission Foods through the Internet or by mail. If you prefer to do it through the internet please choose the subject which best describes the purpose of your message.